We are once again very proud to announce that Multisoft (Hungary) has successfully integrated Dime.Scheduler 2017 as one of the key components in their brand new vertical solution “Servotion“. Servotion is a complete field service solution based on cloud technology powered by Microsoft. Their solution helps to serve customers’ needs, organize resources to achieve maximum efficiency and increase customers’ satisfaction. Tightly integrated information provides the necessary insight to make profitable decisions regarding service activity costs, inventory, workload and financial returns. 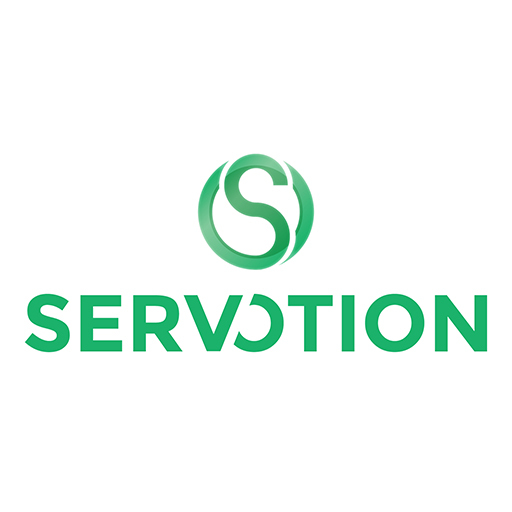 For more information about Servotion, follow this link. We are pleased to announce the expansion of our Dime.Scheduler reseller network in the Netherlands with Xperit Solutions BV. Xperit Solutions bv is a Dutch certified Microsoft partner and specialized in implementing Microsoft Dynamics NAV within wholesale-, production- and professional services organizations. They help customers to optimize their business and are distinguished by a team of experienced consultants and the self-developed X/Suite software, specifically on the target markets. More than 80 customers and 1,000 users are supported when using Microsoft Dynamics NAV, X/Suite and related add-ons. We are thrilled to announce the official release of Dime.Scheduler 2017. Over the course of a year we have worked hard to bring you Dime.Scheduler running on the newest technologies and latest platforms. Dime.Scheduler 2017 has an all new client application using responsive HTML5 running in every browser and a new loosely-coupled middle-tier architecture allowing installation on various platforms and in hybrid environments. Existing partners can download the installation package from our partner zone. If you are not a certified partner yet, please contact us for more information. In the coming weeks we organize a number of webinars demonstrating Dime.Scheduler 2017 and clarifying the new license model. Watch out for the invitations! Today we welcome WhiteStar USA as official reseller for Dime.Scheduler. WhiteStar was incorporated in 2001. They are based in the Las Vegas, Nevada area covering North America. As a Microsoft Dynamics NAV partner they are specializing solutions for Manufacturers, Distributors and Service companies. Their vertical emphasis is in the rental industry. Specifically, they are focusing on companies that are involved in Special Event rentals and those providing A/V & Staging services. We selected Dime.Scheduler because of its graphical user interface and its flexibility in resource scheduling. Since we provide solutions for the rental industries, we have a need to meet the demanding requirements for asset and resource scheduling. Dime.Scheduler enables the planners to work online or offline. They can plan and schedule from the rental application and update Dime.Scheduler’s planboard or work in the graphical planboard and update the rental contracts. General types of resources can be rescheduled, as can specific assets and personnel. Of course, Dime.Scheduler is cost effective for our market and Dime provides a high level of support through its support desk, the partner portal and direct communications when appropriate. We are pleased to announce that Harmonize IT has recently certified as reseller for Document Capture. Harmonize IT automates business processes using Microsoft Dynamics NAV. They have a strong focus on chemical distribution and chemical production for which they use ChemDis – an addon certified for Microsoft Dynamics NAV. Harmonize It serves over 1000 concurrent users in 20+ countries. Production companies seek to optimise administrative business processes as much as they optimise production and warehousing. As such, inbound document management or more specifically purchase and procurement processes are areas where efficiency can be gained. This needs to happen at optimal cost and with limited complexity. Document Capture is such a solution which keeps the balance. Dime is pleased to announce that NaviWorld Group has selected Dime.Scheduler as resource planning tool of choice for their ERP and CRM customers and prospects. NaviWorld Singapore is managed by a Senior Management Team with more than 30 years of combined experience in successful ERP solutions implementations. These include complex projects to SMEs and multi-country enterprises in Singapore and the region. NaviWorld Singapore Pte. Ltd. was formed to serve the needs for high quality Microsoft Dynamics implementation and support services in Singapore and the region. After our research of the various visual scheduling add-on for Microsoft Dynamics NAV, we came across the solution from Dime. We find it feature rich with an attractive user interface. Its map functionalities provide good visibility of the various asset and resources locations. Dime America is proud to anounce that Gemko Information Group has selected Dime.Scheduler, a key planning tool for Microsoft Dynamics NAV for the Construction Industry. GEMKO Information Group is located in Amherst – New York and developed ProjectPro which is a certified (CfmD) Microsoft Dynamics NAV add-on for the Construction Industry. This product provides advanced job costing features such as structured tasks, contracts and change order, progress billings, subcontract management, job quoting (estimating), job material and resource planning. We didn’t develop a scheduling solution in our add-on initially, instead we have used other scheduling products. After exploring Dime.Scheduler we found this solution to be more flexible and focused on what our customers wishes to display while offering the ability to overlay both jobs/tasks with service ticket requests, quick options to show mapping of the customer’s location and possibility to sync with MS-Exchange, enabling to view the Dime.Scheduler planning also in the Outlook client of the resources. We are happy to announce that another UK Microsoft Dynamics partner has selected Dime.Scheduler as tool of choice. Founded in 2001, Evo-Soft Ltd is a dedicated reseller of Microsoft Dynamics NAV software. With offices in the UK and The Republic of Ireland, they work in partnership with clients towards unlocking their full commercial potential. They only sell, modify and support Microsoft Dynamics NAV. Dime.Scheduler provides simple and easy to use visual scheduling – something we have been looking for in a solution for a long time! The “out of the box” solution caters for 99% of our customers needs, and the ability to tailor the application means we can create that 1% to fit the needs of the customer exactly. 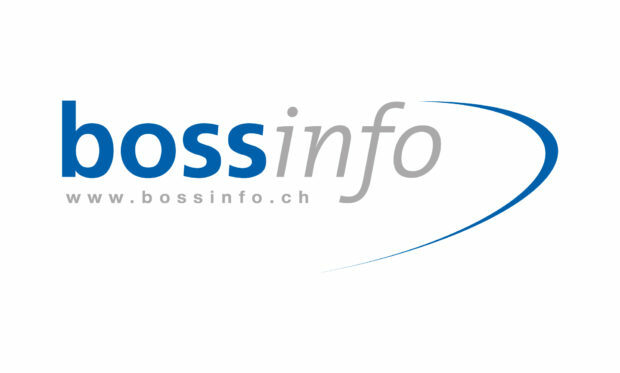 Today we are proud to announce that Boss Info (Farnern – Switzerland) has selected Dime.Scheduler as planning tool of choice. Boss Info is a global Microsoft Dynamics partner, providing innovative technology to optimize the business processes of their customers. They deliver ERP solutions based on Microsoft Dynamics NAV and AX in Professional Services, Trade and Manufacturing industries. With the 2016.Q1 release we introduce a number of new features and added performance enhancements. We are also excited to announce the upcoming release of a standard SAP B1 connector for Dime.Scheduler. As with all our standard connectors (MS-Dynamics NAV & CRM) it features a flexible framework to easily create custom solutions. The SAP B1 connector also supports the SAP HANA platform. The final release date and full details will be announced soon.